Many organizations look carefully at where their people spend their time. This is, in general, a good thing. Problems start when we don’t give our people the chance to succeed. A very common anti-pattern in this context is the part-time Scrum Master temptation. We believe that a good Scrum Master can handle more than 1 team. But do we know the problems that come from that? Can we recognize the anti-patterns that result in time to avoid bigger problems? In this episode, we discuss the anti-patterns that result from part-time Scrum Master assignments so that we can detect those in time and avoid them if possible! Samantha is a Scrum Master based in London where she works with clients in a number of different industries. In her spare time, she is a game writer and designer and uses Scrum to work on game projects. 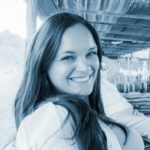 You can link with Samantha Webb on LinkedIn and connect with Samantha Webb on Twitter.